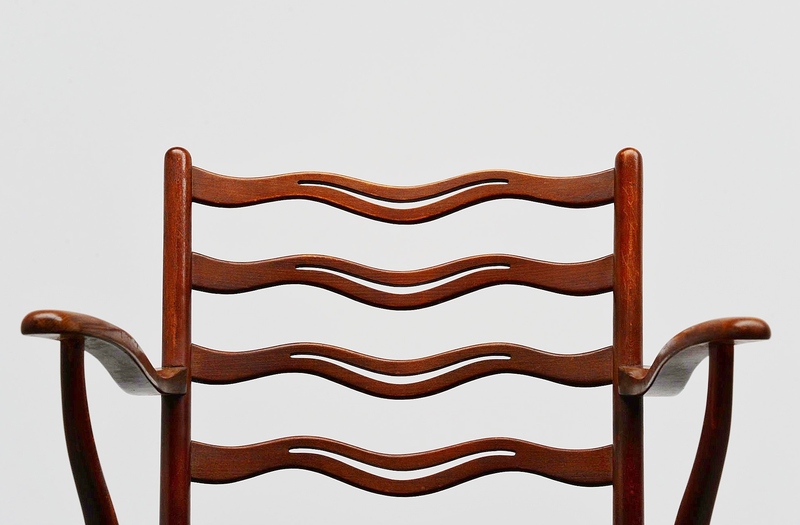 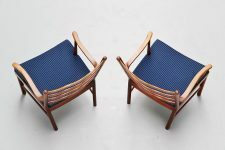 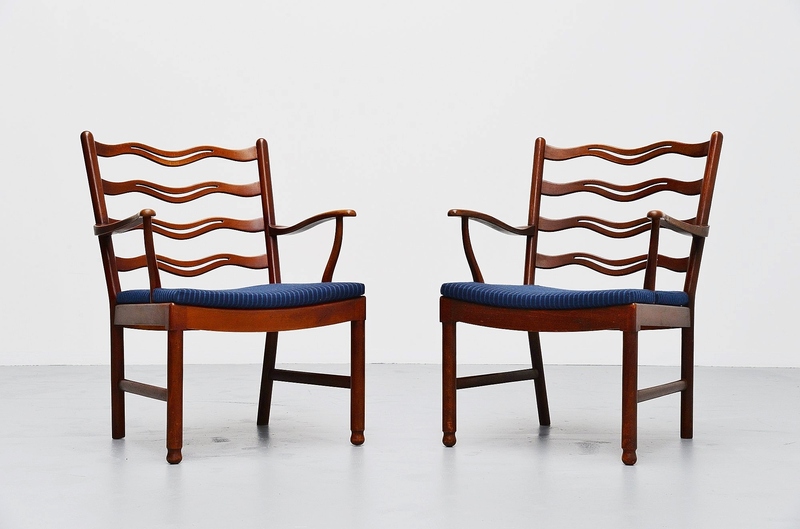 Rare and early easy chairs designed by Ole Wanscher, manufactured by Fritz Hansen, Denmark 1944. 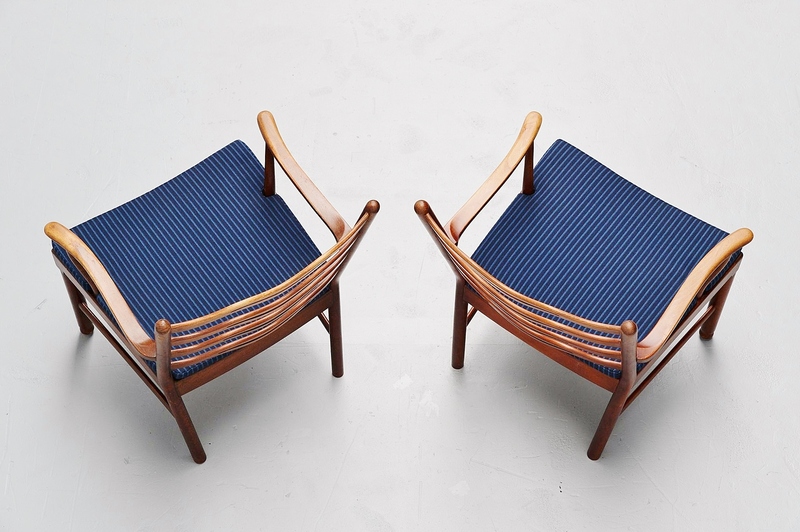 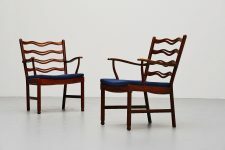 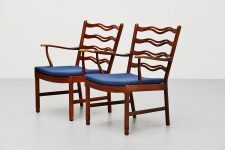 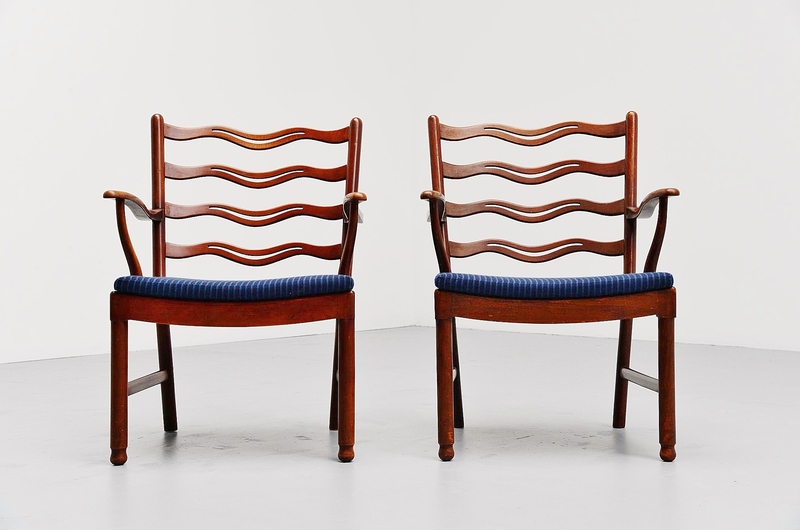 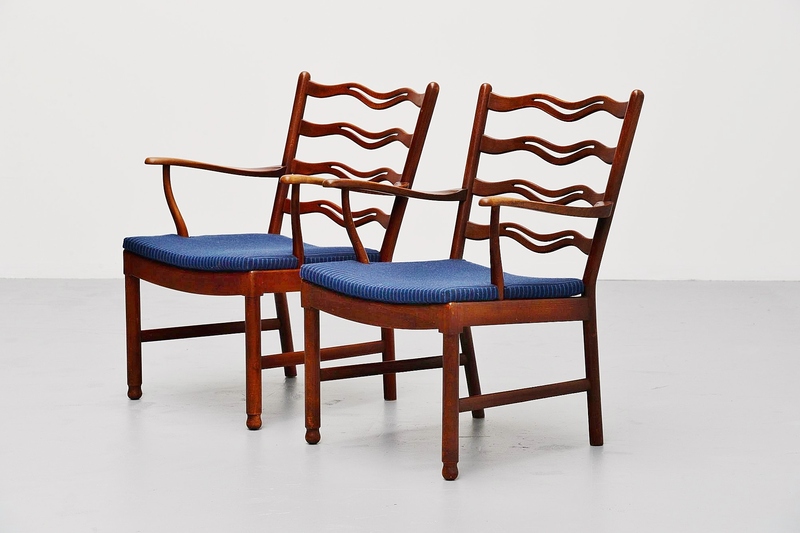 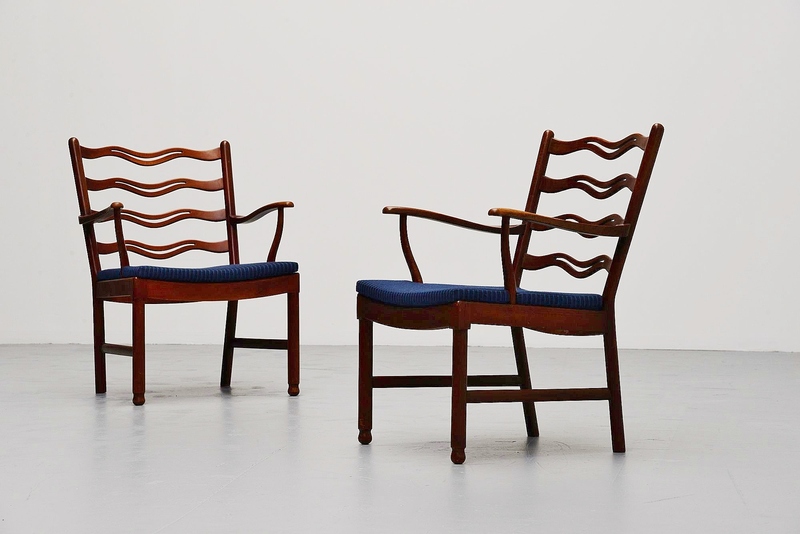 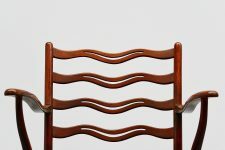 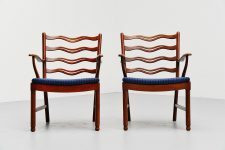 These chairs are made of dark stained birch wood and have original blue striped upholstery in excellent condition. 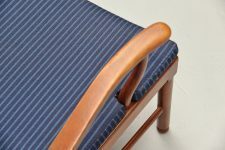 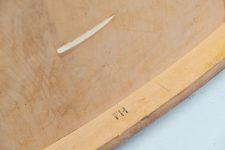 The wooden frames are perfectly crafted with a nice waved back and nicely detailed front legs. 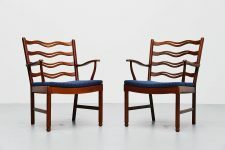 The wooden frames have some lacquer fainting from age but have a very nice patina all over. The chairs are signed at the bottom with the FH stamp.